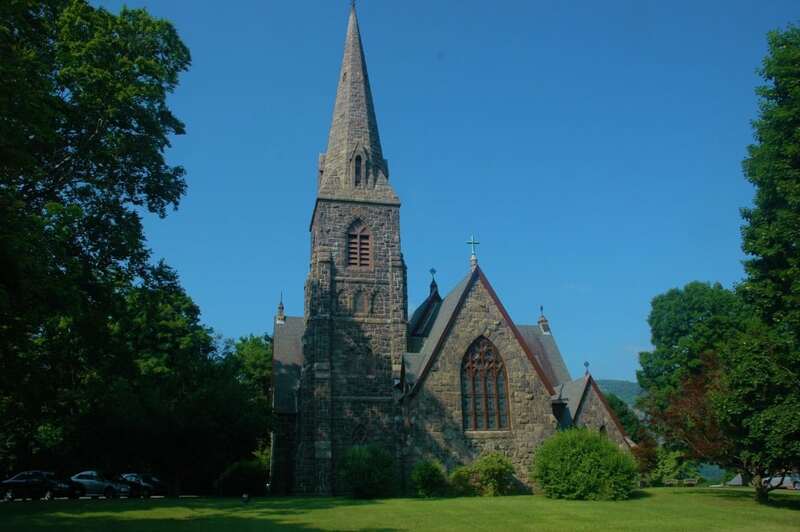 The rector of St. Mary-in-the-Highlands, the iconic Episcopal church at the corner of Main and Chestnut streets in Cold Spring, says that after nearly a decade of financial struggles since the 2008 market crash, its endowment is nearly gone. On July 24, the Rev. Shane Scott-Hamblen launched an online campaign with a goal of raising $1.5 million to replenish the endowment. He warned that, as he did four years ago, without emergency aid the church will have to close and sell the property. Scott-Hamblen declined to discuss specifics. As of July 28 the campaign at gofundme.com/save-st-marys had raised $9,750 from 42 people. Scott-Hamblen made a similar plea in January 2013, saying the 1.5-acre lawn might soon be on the market because of a lack of money for maintenance. “The church is steadily going broke,” he said at the time. The vestry (parish council) discussed leasing the lawn or selling a conservation easement. 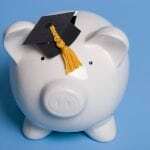 With an annual budget of $170,000, it estimated it needed to add $800,000 to the endowment. “St. 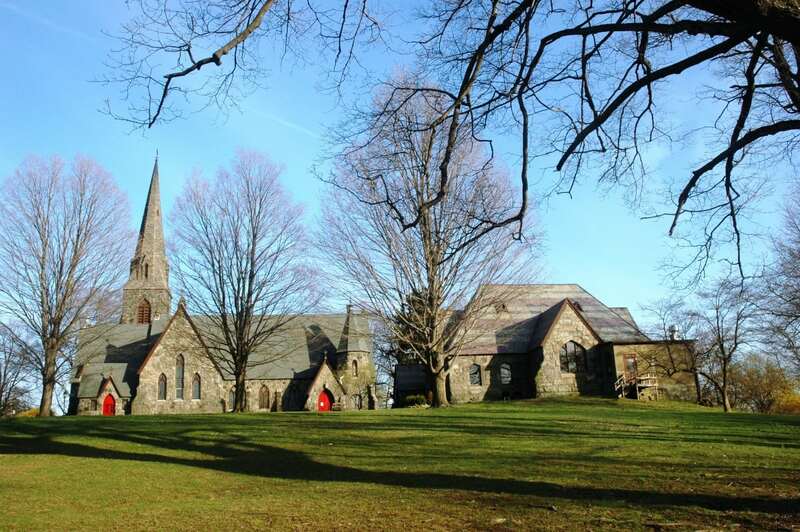 Mary’s Church will communicate a strategic plan and timeline to preserve the current landscape of its buildings and grounds at press events currently slated for late September or early October. Mark Forlow, the senior warden on the church’s 11-member vestry, was traveling and not available for comment. As in 2013, Scott-Hamblen’s online plea focuses on St. Mary’s history and position at the crossroads of the village. The church building dates to 1868. Built in 1826, the Union Church was the first in Cold Spring. 1826: The first church is built in Cold Spring at the riverfront, for use by Baptists, Presbyterians, Methodists and Episcopalians. 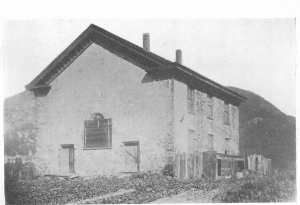 1831: The Baptists dedicate their own church (now The Church on the Hill). 1834: Led in part by a priest with congregations in Newburgh and Highlands Falls, area Catholics build and dedicate a sanctuary (now Chapel Restoration). 1840: The St. Mary’s parish is formed with 11 members. 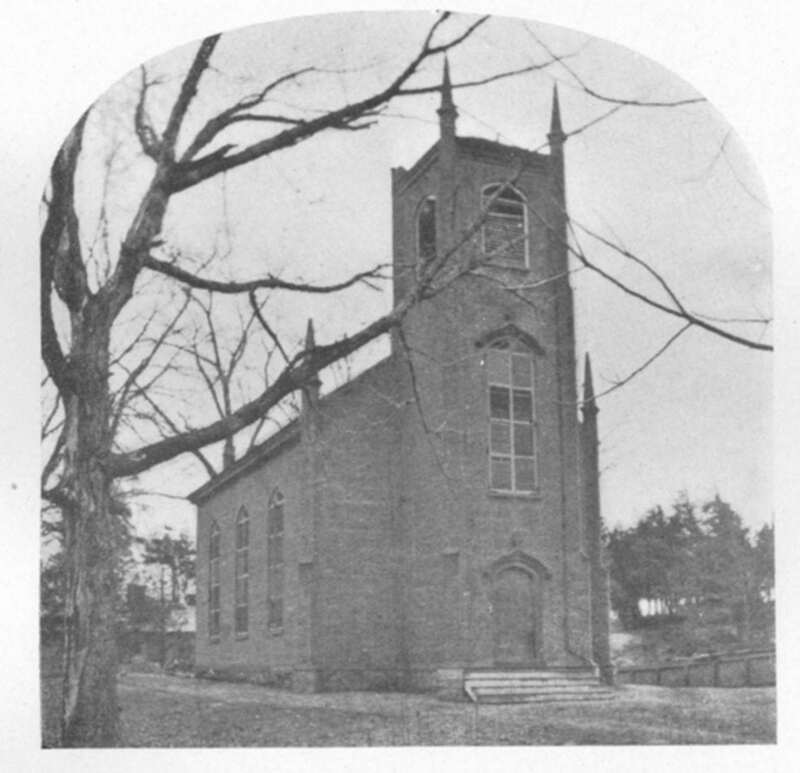 By tradition, it was named for Mary Parrott, the wife of Robert Parrott, who may have provided funds to build a church on Main Street near the present village hall. 1867: Construction begins on the present St. Mary’s church on land donated by the Parrotts. It cost $70,000 (about $1.3 million today). 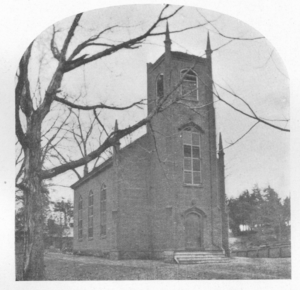 The old church stands empty until 1882, when it is sold for $50 and demolished. 1895: After years of deficits, St. Mary’s found itself in debt for $2,775 (about $76,000 today). Julia Butterfield pledged $1,000, other parishioners raised the rest, and the church, for the moment, was debt-free. Calling the church and its lawn “the heart of the Cold Spring community,” he noted the corner property is prime real estate that would be attractive for development. It is zoned single-family residential and has an assessed full-market value of $2.96 million. 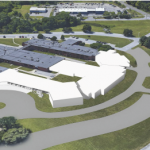 The lawn alone is valued at $275,000 by the assessor. 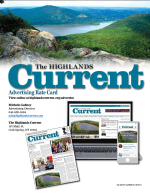 In 2011, a report prepared by the Village of Cold Spring recommended that the great lawn be preserved through a conservation easement or rezoning. 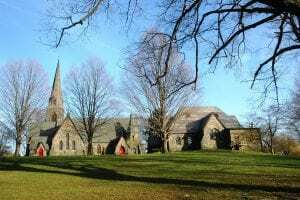 At St. Philip’s Episcopal Church in Garrison, the vestry cut salaries by 10 percent in 2011 after the church ran a deficit of nearly $80,000, said its treasurer, Charles Dupree. The church has an annual budget of about $350,000, and its endowment totals about $1 million. Other churches have closed or merged operations. In 2015, the Roman Catholic Archdiocese of New York City shuttered nearly 40 churches. In Port Chester, four Catholic churches merged into one. In the Highlands, the Cold Spring United Methodist Church, the South Highland United Methodist Church in Garrison and Grace United Methodist Church in Putnam Valley formed a cooperative called the Open Doors Community Parish and share a pastor, the Rev. Jessica Anschutz. 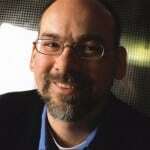 They also share an administrator with Yorktown Methodist Church. 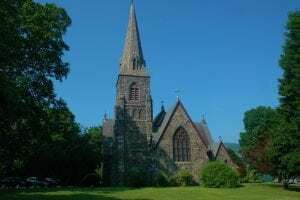 Nationally, a Pew Research Center survey found that the number of Americans who identify as Christians dropped to 70 percent from 78 percent between 2007 and 2014, driven largely by a decline among Catholics and mainline Protestants, which includes Methodists, Baptists, Lutherans, Presbyterians and Episcopalians. At the same time, the number of people who say they have no religious affiliation (“nones”) has grown to 56 million, Pew found, making them more numerous than either mainline Protestants or Catholics.